Richmond | Fresh Air, L.P.
Repair needs aren’t the only reason your air conditioner might not be working as efficiently as it normally can. 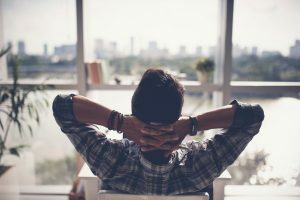 The good news is, there might be something you can do about it, Be sure to read the following tips on how to use your air conditioner most efficiently, and give us a call if you suspect operational problems. Don’t Skip Out on Commercial AC Maintenance! Springtime, or even before then given how hot our weather is pretty much year round, is typically the time that we emphasize to our customer how essential it is that you have HVAC maintenance done for your business or commercial property. Preparing for summer with an inspection and tune-up for the AC system is the best way to prevent repair problems, energy waste, and even shortened equipment life. 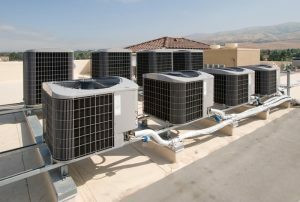 If you haven’t already had this service done in the past year, then the time to schedule air conditioning maintenance for your business in Richmond, TX is now—regardless of whether or not your commercial air conditioner seems to be doing just fine. A routine maintenance check not only helps to improve or maintain the comfort of employees, customers, clientele, or tenants, but is also key to protecting equipment from overheating. While skipping residential maintenance may leave a small family in a lurch, skipping commercial maintenance impacts many more individuals. Posted in Air Conditioning | Comments Off on Don’t Skip Out on Commercial AC Maintenance! Sure, we might not get as much use out of our furnace systems as other parts of the country—say, in the Midwest and East Coast. That doesn’t mean, however, that we can neglect caring for our heaters. If you haven’t scheduled your professional Richmond, TX furnace maintenance appointment yet, don’t worry—it’s not too late! We can perform your furnace check-up any time of the year—though we do highly recommend this service be done at least once per year. There are many reasons to have your furnace professionally maintained on a yearly basis, and safety is a huge one, particularly if it is a gas-powered system. Today’s gas-powered systems are designed for maximum safety and efficiency, however, the combustion process involved with gas still means that there is a risk. Even minor damage to a furnace can cause gas leakage in your home, making you ill or worse. As vital as your safety is, however, this is not the only reason you should have your furnace checked. 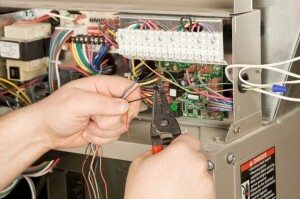 One of the most common reasons we receive calls for air conditioning repairs is electrical system problems. There are a number of components, circuits, and connections that must work seamlessly in order for your cooling system to operate. Even the smallest component failure can negatively impact your air conditioner. When you notice any type of problem, do be sure to contact the professionals on our team right away. In the meantime, we’d like to share with you one of the most important electrical components of your AC system, and what happens when one goes bad. The capacitors are what we’re referring too. Without these, the motors that power your compressor and fans wouldn’t be able to work. Keep reading to learn more about what capacitors do and what can go wrong when one begins to fail. There are many considerations to make when choosing a new air conditioning system for your home. 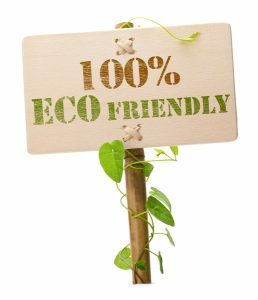 You’ll want to think about its efficiency, configuration in your home, and what model of AC is best for you. One of the most neglected factors when it comes to AC installation is its size. If you are having a new air conditioner installed soon, be sure to have one of our professional HVAC technicians help you choose the correct size for your home. You’ll quickly run into problems if you choose a climate control system that is too big or too small. Keep reading to learn more. When you live in a hot climate such as ours, you are very well aware of how important it is to have an effective air conditioning system installed in your home. Our summer season is nothing to contend with, and as a result you want to know that you can rely on your air conditioner to be there for you when you need it the most. If your system begins to fail on you, chances are you are going to be stuck at a time that you need your AC system to work the hardest. But what if your air condition is starting up alright, but only running for a short time before shutting down? This process is known as short-cycling, and it’s a clear sign that it’s time for you to call for air conditioning repairs.